A sleek campaign is urging consumers and fish importers in the United States to “Boycott Mexican Shrimp,” which on the surface may sound like a health warning to avoid the beloved seafood. But that is no reason to throw the shrimp burrito you already purchased in the trashcan, as the boycott doesn’t have anything to do with the contents of the shrimp itself. Rather, environmental organizations are hoping that a massive shrimp boycott will be an effective if indirect political strategy to save the vaquita, a tiny porpoise that lives in the gulf of Mexico. The vaquita was discovered by scientists only a few decades ago, and only 600 existed as of ten years ago, Boycott Mexican Shrimp spokesman DJ Schubert tells ConsumerAffairs. The campaign is reportedly modeled after a 1980s boycott against the tuna industry that successfully stopped United States companies from setting their nets near dolphins. Conservation groups say that the Mexican shrimp industry and the Mexican government have not done enough to deter illegal fishing practices. 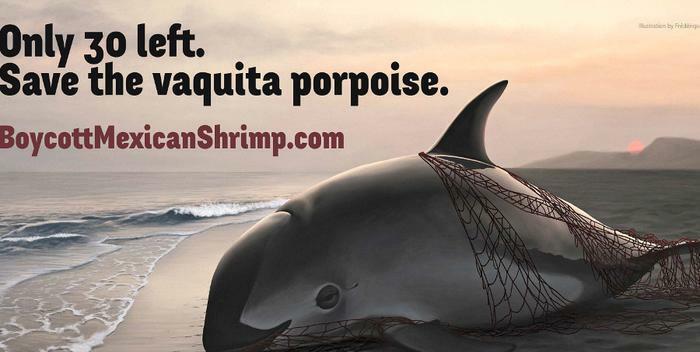 But not everyone agrees that a shrimp boycott is the answer to saving the vaquita. A report by local conservationist group the Comité Internacional para la Recuperación de la Vaquita or CIRVA found that fishing using gill nets is the driving force behind the vaquita’s extinction. Responding to that concern, the Mexican government in 2015 temporarily banned fishing with gill nets in the vaquita habitat in the upper Gulf of California. But fishing with gill nets continues in the refuge, and CIRVA points to illegal fishing as the culprit. Fisherman who illegally use gill nets are typically on the hunt for a different fish called the totoaba. Due to China’s demand for the totoaba bladder, the fishing industry is calling for a continued ban on gill net fishing in areas where the ban is already in place, but is speaking out against the shrimp boycott. “Targeting legally sourced Mexican shrimp for a boycott in a misguided attempt to draw attention to this issue is unfortunate,” the National Fisheries Institute, the US trade group representing the fishing industry, told trade publication Seafood Source in a statement. The Sustainable Fisheries Partnership, an NGO that works with the fishing industry, is also opposed to a boycott on grounds that shrimp fishermen who source their product legally would be targeted. And the Mexican fishing industry operates their own Buy Mexican Shrimp website while still acknowledging the vaquita’s near-extinction. The Mexican shrimp council also describes a vessel-monitoring system that they hope will keep black market fishermen away from the seas. “There is no one solution for the current situation with the decline of the Vaquita population, but the council is active on numerous fronts to help protect the environment and marine life in the area,” the group adds. Boycott Mexican Shrimp spokesman D.J. Schubert acknowledges that there are even environmental and wildlife groups that refuse to get on board with the boycott campaign for various reasons. World Wildlife Fund, for example, has not joined the boycott, but has launched its own initiative to save the vaquita that includes employing local fishermen to help remove the illegal nets. "I think that’s a spectacular way to provide the fishermen with a way to earn a living... and we know World Wildlife Fund is making other efforts to try to save the vaquita. And that's what it's going to take. It’s going to take a coalition of organizations and different strategies." The World Wildlife Fund is also calling for a permanent ban on fishing with gill nets in the vaquita habitat, rather than just the temporary gill net fishing ban that has been in place. In a move welcomed by the conservation groups, the Mexican government last week signed an agreement with American actor Leonardo DiCaprio and Mexican business magnate Carlos Slim committing to make the ban permanent. But the idea of a total ban has raised suspicions among fishermen, including one who told the Los Angeles Times that he believed the Mexican government was only trying to clear the seas to make way for oil exploration. Schubert says this is flatly untrue and points out that many of the organizations behind the Boycott Mexican Shrimp coalition--there are 31 in total--are the same organizations that are often in the crosshairs of the oil and gas industry, such as the Center for Biological Diversity and the National Resources Defense Council. And while Chinese demand for totoaba is the current driving force behind the vaquita extinction, the shrimp industry before the gill net ban had been put in place was a major culprit, the activists say. The Boycott Mexican Shrimp coalition points to several rescue operations in which animal activists found gill nets for shrimp in the vaquita refuge area. Before the ban went into effect in 2015, “the shrimp industry was the fundamental cause of the vaquita population’s decline over the past two decades and shrimp vessels both large and small continue to be caught fishing illegally inside the Vaquita Refuge Area,” the groups wrote in a March 2017 letter to a fish distributor in Los Angeles, one of many letters they have sent as part of their boycott campaign. 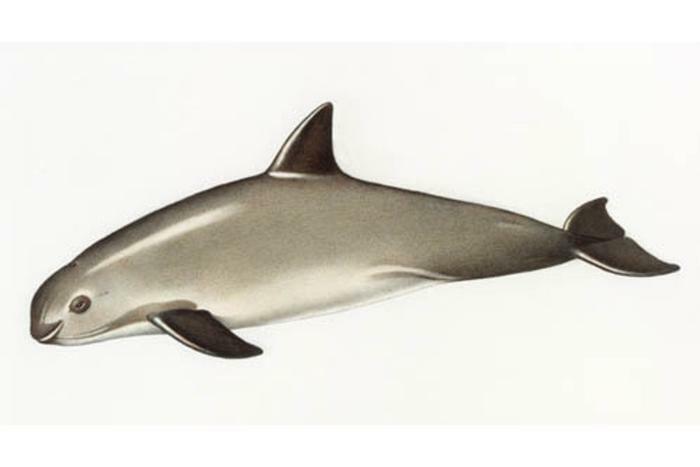 The NOAA similarly says that "vaquitas are endangered due to accidental deaths in fishing nets set for fish and shrimp." "The Mexican government has to do more, the shrimp industry has to do more,” Schubert adds. “We want the shrimp industry to step up and say, ‘We agree that we were part of the problem, we agree that we need to be part of the solution, we agree to commit to policing our own ranks.’... At some point we might call off the boycott, but for now we're just not convinced there's enough political will." What if you aren't in the 70-mile-wide total eclipse zone?